Being a dietitian is both a privilege and a challenge. How fortuitous is it for dietitians to have chosen a profession where, for a living, we consume information centered around food, nutrition, health, wellbeing, possibility, improvement, progress, and evolution?! We are trusted leaders providing answers to a breadth of questions surrounding food and nutrition. With this privilege comes great responsibility. Often the answers to a simple-sounding question can actually be quite complex. When speaking to groups, I am routinely asked questions about the safety of our food supply – organic foods, are they better for me? Organic foods are more expensive – are they worth the expense? Digging down into the “meat” of the question – elucidating what is the real concern requires listening and questioning skills, as well as bringing together a range of complex issues that the person asking the question may not have thought about. For example, are consumers aware the ~half of organic vegetables and fruits in our grocery-store shelves have synthetic pesticide residue on them? (1). Are consumers aware that organic farming includes the use of organic pesticides? It would be “easy” to say what the consumer might expect to hear – choose organic. Having the breadth of knowledge and awareness of the complexities behind this simple-sounding question is what helps to showcase dietitians as high quality health professionals. Whether it is organic foods, genetically modified foods, other safety questions about our food supply, or the other infinite combinations of questions - our professional voice can speak to the complexity of the issues surrounding food and nutrition. Staying appraised of these issues is the challenge for our profession. Through collaboration, each of us can help our colleagues retain our position as leaders in food and nutrition. Together, we are stronger. launched our new and enhanced PEN® website including new features to help our PEN® users. launched new PEN® features including new calculators and professional tools and the ability to shorten a PEN® client handout. celebrated five years of publishing PEN eNews. have the PEN® System listed on the GRADE website! profiled the PEN® System at conference sessions at Spain’s International Congress of Dietetics. came second in the oral communication category at ICD in 2016 for this project: Raising our Healthy Kids. began to implement people-first language in the PEN® System. worked with hundreds of volunteer dietitians around the world! These dietitians served as authors or peer reviewers for PEN® as individuals or as part of an International Working Group. continued to support dietitians in tackling misinformation in the media. published our first evidence synthesis in the PEN® System using the GRADE approach. 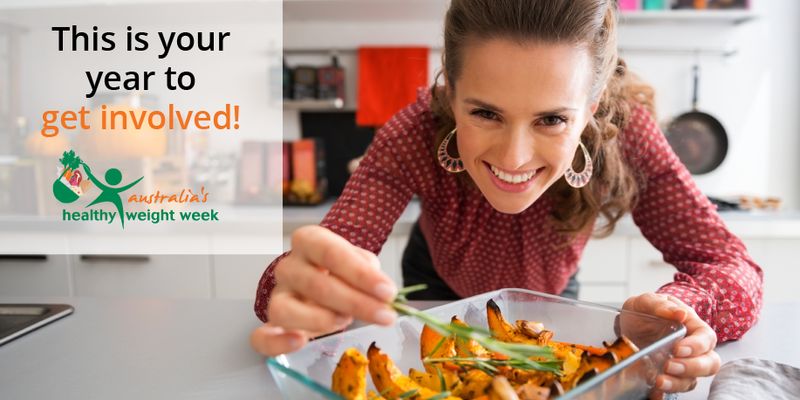 have grown our PEN® Community to over 10,000 dietitians! worked with dietitians and nutrition students from around the world. launch new support videos for using the PEN® System. continue to incorporate the GRADE approach to our evidence syntheses. For a sample of what this looks like, click here. continue to increase tools, resources, and the breadth and depth of our evidence-based answers to your practice-based questions. As I personally look ahead to 2017, I am inspired by this quote by Mia Hann: “Celebrate what you’ve accomplished but raise the bar a little higher each time you succeed.” The PEN® Team will be right there with you as you set your professional goals for 2017. The PEN® Team’s surprising findings of 2016. We highlight new and updated PEN® content. Did you know we have a New Tools and Resources page? This page captures a few examples of new tools and resources added to the PEN® System. Is a reduced saturated fat diet recommended for primary or secondary cardiovascular disease (CVD) prevention? Do healthy adults who consume supplemental antioxidant nutrients have a lower risk of developing age-related macular degeneration (AMD)? Is there a role for natural health products or nutrients, other than antioxidants, in the prevention or progression of age-related macular degeneration (AMD)? Does the consumption of high dose antioxidants slow the progression of age-related macular degeneration (AMD)? Are probiotics effective in the prevention or treatment of urinary tract infections (UTIs) in women? Do any dietary components or approaches exacerbate or alleviate symptoms in individuals with interstitial cystitis (IC)? Are dietary or herbal supplements (e.g. arginine or quercetin, alone or with glucosamine and chondroitin) effective for treating symptoms of interstitial cystitis (IC)? How do pregnancy weight gain patterns among Aboriginal and Indigenous women affect pregnancy outcomes and long-term infant health? Does an alkaline diet prevent or cure cancer? Which growth charts should be used to monitor the growth of preterm and low birth weight infants? Each day, our Global PEN® team reviews the literature for evolving research and monitors for nutrition trends. We have reflected and have shared our surprising findings of 2016. Is chronic disease management the new crisis for refugees around the world? Resurgence in Subjective Global Assessment? Will health professionals be returning to the recommendation of introducing solids at four months of age? Many of us have heard about the precision medicine or personalized medicine initiative – largely a research effort in which large-scale genomic studies are being conducted in order to understand individual differences in people’s genes, and target disease prevention and treatment more effectively. Some have also argued that precision medicine is more than just gene sequencing; it’s also about looking at patients in their environments and their interaction with their environment (i.e. lifestyles) (1). So it was with interest that I attended a research symposium at the International Congress of Dietetics this year by a Spanish researcher (JA Martinez), titled ‘Precision Diets: new applications in obesity’. The researcher argued that most genetic studies on human obesity have not considered genotype-environment interactions (e.g. response of a genetic phenotype to overfeeding) because of difficulties in assessing these effects in genetic models. However, the gene-environment relationship is key to designing ‘precision diets’ or personalized nutrition. Despite the appeal of this approach, a recent systematic review that this researcher co-authored, reported that people who carry the ‘obesity’ (FTO) gene responded similarly to weight loss treatments (diet, exercise or medication) to those without the gene (2). These results suggest that weight loss interventions based on an individual’s genetic predisposition for obesity may not be the answer for most people. When I tried to do a literature search to learn more about precision diets, I was disappointed: precision medicine is a MeSH term in PubMed, but there is no comparable term for precision nutrition or precision diets. In Google Scholar, the only human studies date back to the development of precision liquid diets in the 1960s. As we continue to hear more about precision medicine, there is an emerging opportunity for studying precision diets and I look forward to watching how research in this area unfolds. Dietitians, with their knowledge and skills, will be well-positioned to apply this research to practice. Genetically Modified (GM) foods are a topic about which I’ve felt quite c onflicted and the Genetically Modified Organisms (GMOs) PEN® Backgrounder helped to give me better perspective... with some surprises! I was surprised that only two statements in the Backgrounder alleviated some of my personal concerns: 1. “gene ‘editing’ will allow precise determination of where the new DNA is added” (vs the earlier situation wherein there was “little control over where new DNA was inserted into a host’s genome”), and 2. “the majority of GM foods available on the market are highly processed products such as oil and sugar”, wherein “only negligible amounts of protein, DNA and other components [are] left in the product”. It was a surprise to see this articulation of differences in principles upon which countries base regulatory decisions: “Canada’s approach to regulation of GM foods is guided by the equivalence principle” (“GM foods not found to be substantially different from their non-GM counterpart can be treated the same way”), while “many European countries are guided by the precautionary principle” (which “relies on proof that something is not harmful before it can be implemented and, in light of uncertain levels of risk, defaults to the most conservative decision”). I wonder why there is this difference in approaches? and why did Codex Alimentarius use “the underlying principle of substantial equivalence” in its guidance? It should be no surprise that “the EU is known to have the strictest GM traceability and labelling regulations in the world”. True to the PEN team’s approach to evidence analysis, let us not be surprised that the section in the Backgrounder addressing possible risks of GM foods (including toxins, allergens, anti-nutrients, pesticides/herbicides, horizontal gene transfer, reduced biodiversity and potential monopolization of the global seed and agrochemical markets) is a sober reminder that risks can’t be definitively disputed. “Thus, studies that fail to find evidence of a risk can be used to support the argument that a risk does not exist, but can never conclusively confirm it”. ‘Low risk’ does not mean ‘proven to be safe’ – nor does it mean ‘proven to be unsafe’. Affirmed through this Backgrounder, I think that will be how I begin my response the next time someone asks me what dietitians think of GMOs. That’s probably not a surprise. Suddenly coconut oil has made a comeback, appearing to be the best thing since sliced bread! Nutritional claims and supposed benefits have saturated websites, social media, magazines and books over the last 12 months, but why? Coconut oil is not only considered the next ‘superfood’ which we as dietitians and nutritionists know is simply a marketing term, but it is also driven by the hype around ‘clean eating’. Bold claims including ‘can help restore normal thyroid function’, ‘can help improve insulin use in the body’ and ‘can help the body mount resistance to viruses and bacteria’ has fuelled its popularity despite the fact that coconut oil is very energy dense, high in saturated fat and increases total cholesterol and LDL cholesterol in the blood! The take home message? 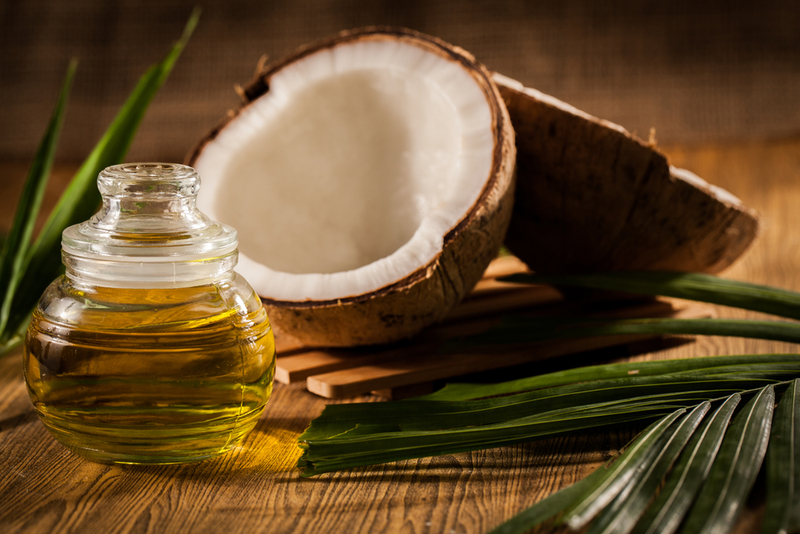 Avoid foods high in saturated fat and stick to unsaturated plant oils such as olive and rapeseed oil and check out the PEN practice question: Are there any health benefits in consuming coconut oil? At EatRight Ontario, you never know what kind of nutrition question will be on the other end of the phone line. The other day a caller wanted to know what food or supplements they could take to treat their cold sore. A cold sore??? Skeptical, to say the least, that I would find any information on this I typed in "cold sore" in our PEN database. Sure enough a practice question pops up! I am happy to report that the PEN® System can answer the question "Are there any dietary supplements or nutrients that can help prevent or treat cold sores... in adults prone to frequently recurring HSV infections." This just goes to show the vast amounts of information the PEN® System has and the invaluable resource it is to us at EatRight Ontario. Phew! Saved by PEN again! Wondering about the efficacy of L-lysine, arginine, vitamin C, zinc, and ginseng on cold sores? Login to the PEN® System to find the answers! PEN® Surprising Finding: Is chronic disease management the new crisis for refugees around the world? As a former hockey mom, I was moved to tears watching the story of three young Syrian refugees who have taken up “Canada’s game” as part of their integration into Canadian society. Watching this news story coincided with me receiving a blogpost entitled Non-communicable diseases (NCD) in refugees and migrants – the hidden crisis by Esperanza Martinez who works for the International Committee of the Red Cross. As a dietitian, I’ve long appreciated that new immigrants to a country are often considered to be “vulnerable populations”. They may experience challenges in finding work in their new country and thus are at risk for poverty leading to food insecurity. The language barriers and lack of access to familiar or cultural foods can make obtaining healthy diets for their families in their new country more challenging and put them at risk of malnutrition. I was also aware that low-income countries experience higher morbidity and mortality due to non-communicable diseases, but what I hadn’t done was connect the dots regarding the fact that many of our global refugees come from low income countries where they are fleeing conflict, or poverty, or both. They may spend years in refugee camps where their health and nutritional status is further eroded despite the best efforts of international aid agencies who are understandably stretched, and focused on meeting basic needs and preventing catastrophic infectious disease outbreaks. Further, screening for NCDs (for example, HgA1C, lipid levels) in refugee populations falls well below our developed world standards. 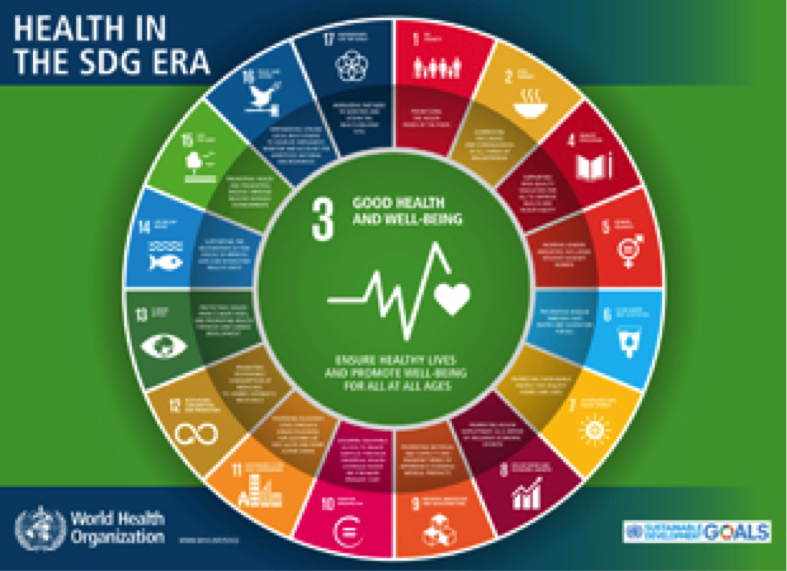 In the past, we have tended to think of refugee crises as acute events and but our current situation has gone on for so long, chronic disease management is becoming a critical issue for refugee and immigrant populations. We are focused on feeding refugees, providing acute emergency care, but they are languishing in the camps for so long that they now need a different kind of support. Rabkin et al (1) summarize statistics from several different agencies and reports that cardiovascular disease, diabetes, cancers and chronic lung diseases were the leading cause of death in Syria prior to the war and that these diseases remain the primary reason for Syrian refugees to seek health services. Rabkin further points to the “significant disconnect between the health needs of twenty-first century refugees, and the global systems that have been established to address them.” Esperanza calls for coordinated multi-stakeholder efforts to address the NCD challenge faced by refugee populations in camps around the world. So, back to my 3 young Syrian hockey players. You’ve escaped conflict and the refugee camps. I hope you and your families finally feel safe. I hope that you transition to your new circumstance as smoothly as possible, and continue to enjoy “our game” in your new country. May our health care practitioners and the systems they work in help you through the unimaginable traumas you’ve experienced and support you to lead the healthiest lives possible. Welcome to Canada. 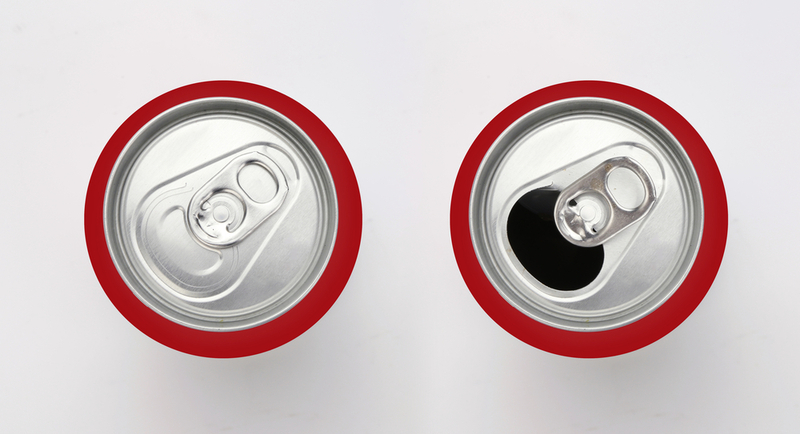 Limiting consumption of sugar-sweetened beverages (SSBs) is a well-accepted public health priority, but taxation of SSBs as a public health strategy is controversial. This year, I was pleasantly surprised with an evaluation of SSBs taxation in Berkeley, California. A cross-sectional study evaluated the impacts of the excise tax (implemented in November 2014) on SSBs consumption (1). Data was collected from 990 participants using a beverage frequency questionnaire, approximately six months after tax implementation. Results showed that taxation ($0.01/oz) was associated with a decrease in SSBs consumption by 21% and an increase in water consumption by 63%, in low-income communities. In comparison cities of Oakland and San Francisco, consumption of SSBs increased by 4% and water consumption only increased by 19% (1). This is encouraging even though this study reflects the short-term results of this public health initiative. It is also encouraging to see that this public health strategy is being recognized and generating acceptance and acclaim (2-3). I look forward to seeing the short and long-term impacts of these initiatives. Controversies are polarizing but they generate discussion, encourage critical thinking, and once there is evidence available to resolve them, they diminish. Evidence about this topic is young and still evolving, so we will see if this holds true in the case of SSBs taxation. I have been reviewing the links between breast cancer and nutrients and consequently have an above average awareness of the association between breast cancer risk and various substances. Perhaps I should not have been surprised that so few women seem aware of the links between alcohol consumption and breast cancer. The UK guidance to limit alcohol intake to just 14 units per week for both men and women was the first change to recommendations regarding alcohol in 21 years. Whilst the exact mechanism of carcinogenesis is unknown, ethanol increases levels of endogenous oestrogen even at relatively low levels of alcohol consumption of 2 units per day (16 g ethanol). Alcohol is associated with risk of developing ER+ve tumours rather than ER-ve tumours. What does 1 unit of alcohol look like? Resveratrol, present in grapes and red wine has antioxidant properties and can induce cell death (apoptosis) but sadly these properties are outweighed 100,000 times by the cancer causing effect of ethanol. Alcohol consumption is estimated to be responsible for 8.7% of breast cancer incidence and 7.3% of total breast cancer mortality. For patient information on alcohol and cancer risk, click here. Thus, I was surprised to learn that in 2014 there were only nine genetically modified (GM) crops grown around the world. Nine! That’s far fewer than I would have guessed considering the salience of GM foods in the media. Furthermore, GM cropland accounts for only 3.7% of the world’s total agricultural land and very few GM foods are consumed whole. Rather, the vast majority of GM food intake in the human diet arises from further processed ingredients such as oils, lecithin and high-fructose corn syrup. Australia has approved 10 GM food crops, but in 2014 only GM canola and cotton were actually cultivated. Canada has approved 14 GM crops, but only GM canola, corn, soybeans and sugar beets were actually grown in 2014. An additional four GM crops (alfalfa, cotton, papaya and squash were available via import from the United States. GM apples have been approved for production and sale in Canada, but are not yet on the market (more info here). 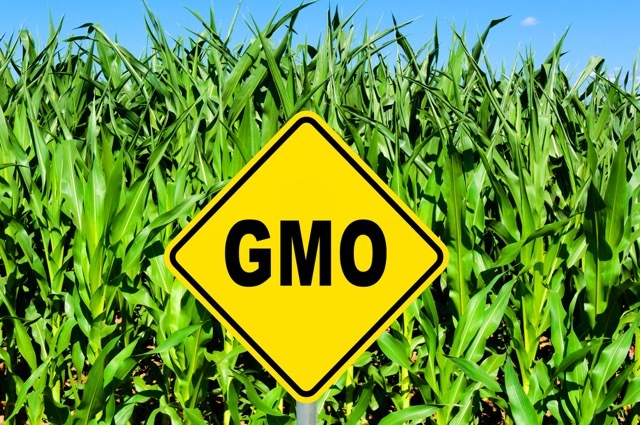 The European Union has approved six GM food crops but in 2014 only grew GM corn, cotton and soybeans. The topic remains controversial. Arm yourself with facts! For more information see the background document on Genetically Modified Foods. PEN® Surprising Finding: Resurgence in Subjective Global Assessment? The recent Dietitians of Canada education event posting on Subjective Global Assessment (SGA) has made me wonder if dietitians perform physical nutrition assessments as much as they should? This education stems from the important work of the Canadian Malnutrition Task Force. Their study, conducted between 2010 and 2013 in eight hospitals across Canada, involving 1,022 patients, found significant gaps in [the health care team’s] practice with respect to prevention, detection and treatment of malnutrition (1). Dietitians require adequate education and training so they can be confident and competent in performing physical assessments and advocating for malnutrition screening. SGA represents an opportunity for dietitians to apply their knowledge and skills to quickly determine a client's nutritional status and plan appropriate nutrition interventions. 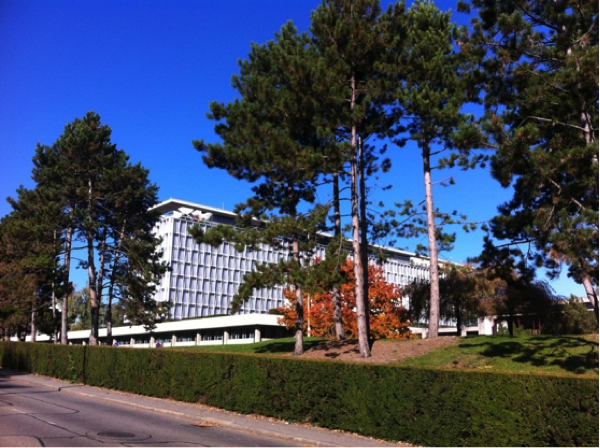 Ever wonder what the World Health Organization (WHO) headquarters in Geneva Switzerland actually looks like? The WHO does plenty for the world of nutrition, by providing standards and guidelines for breastfeeding, child growth, nutrient requirements, sugar consumption, oral rehydration solutions and many other important non-nutrition topics including vaccination. 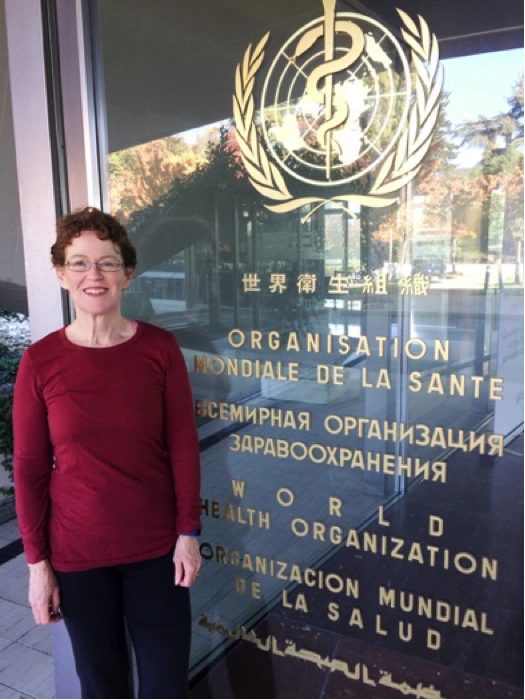 I had an opportunity to visit the WHO offices in Geneva, since my daughter Carol was doing an Internship there. How cool is that?! I was drawn to see their offices since I use their c hild growth standards and references almost daily in my work, and am aware of the importance of the leadership they provide to many of us on several topics, especially those of us who work in infant nutrition. I found examples of their health leadership throughout the building as well as outside. Inside there were large banners about their recent programs, such as this one on sustainable development goals and racks of their publications. It was tempting to collect some publications as souvenirs, but these documents are available through their website. Outside there was a large bilingual sign informing visitors that the entire campus is a smoke-free zone. What I found interesting is that the WHO just removed sugar-sweetened drinks in their cafeteria, like the rest of the world is trying to do. They had posters on the bulletin boards informing people of this change. In August of this year, the WHO published guidance on intake of free sugars (“Free sugars include monosaccharides and disaccharides added to foods and beverages by the manufacturer, cook or consumer, and sugars naturally present in honey, syrups, fruit juices and fruit juice concentrates”) due to their association with obesity and dental caries. They recommend reduction of free sugars to less than 10% or ideally less than 5% of calories for people of all ages. The WHO are living it to lead it. It was also interesting how international the people appeared. As indicated by their clothing and skin colours, there were people from all over the world lined up to be given WHO access badges. Visiting the WHO offices made it clear to me that the people that work there are struggling with some of the same issues we deal with day to day. We are lucky to have their leadership that we can use to influence policy and attempt to improve health in our own environments. PEN® Surprising Finding: Will health professionals be returning to the recommendation of introducing solids at four months of age? There is evidence that the introduction of allergenic foods should not be delayed (1). Additionally, some studies show that the introduction of allergenic foods earlier than six months decreases the prevalence of allergy in both high and low risk infants (2,3). Will there come a time when dietitians return to recommending that solids be introduced as early as four months for some or all foods? The World Health Organization currently recommends introducing solids at around six months of age (4) however, it will be interesting to watch government health agencies’ and other organizations’ responses to the emerging evidence over the coming years. For more information on this topic, see the PEN® Evidence Clip: Food Allergy Prevention in Infants and PEN Knowledge Pathways: Food Allergies – Low Risk Infant and Food Allergies - High Risk Infant. Perkin MR, Logan K, Tseng A, Rali B, Avis S, Peacock J, et al. EAT Study Team. Randomized trial of introduction of allergenic foods in breast-fed infants. NEJM. A topic area I found interesting to learn more about this year was the role of probiotics in the gut-brain axis as it relates to central nervous system (CNS) functioning with respect to anxiety, depression and stress response. The amount of micro-organisms in the gut microbiome is estimated at 10 times the number of cells in the entire human body and changes in the microbiome impacts the host (us) (1). Additionally, there is an estimated 500 million neurons in the GI tract. The gut-brain axis is bidirectional and complex. While much is known about the afferent and efferent networks, there remains much more to be understood; especially with regards to the role of the microflora on CNS functioning and vice versa. 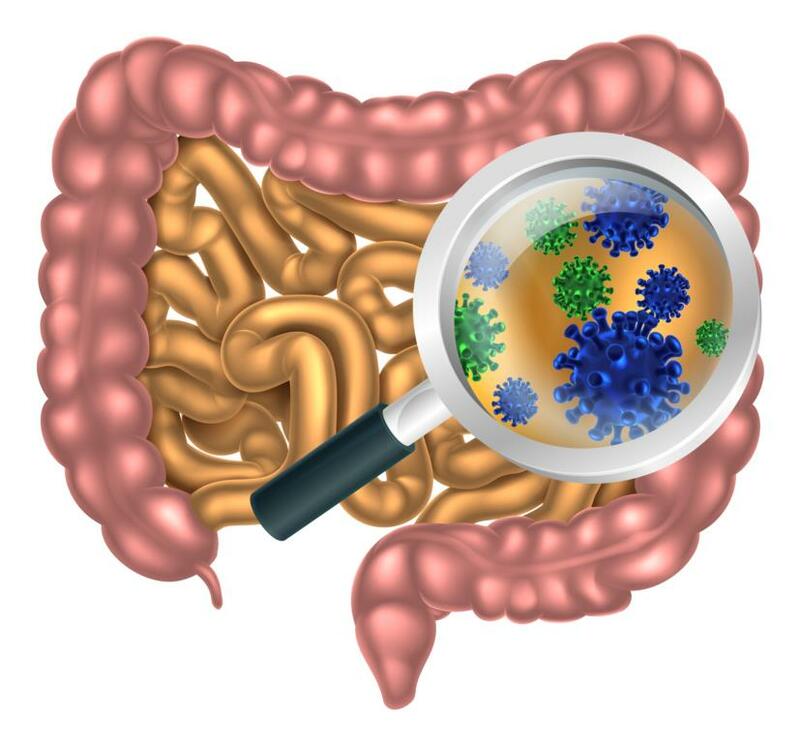 Additionally, much research has been done on probiotics for GI-related issues such as helicobacter pylori, irritable bowel syndrome, antibiotic-associated diarrhea, acute infectious diarrhea and modulation the intestinal and systemic immune systems (See PEN®). However, research has also found that gut bacteria can produce neuromodulators and neurotransmitters such as GABA, serotonin, norepinephrine, dopamine and acetylcholine and may impact the CNS via a variety of neuroendocrine or neuroimmune mechanisms. Probiotics can change the microflora, suppress growth of pathogens and have immunomodulating effects (1). A recent systematic review meta-analyzed the results of good quality, double-blind RCTs on healthy adults (who were not clinically depressed but were under stress, anxiety or had certain scores on depression scales) (1). Probiotic supplementation (as powder, capsule, yogurt or fermented milk forms) improved symptoms of anxiety, depression and stress in those individuals and was very well tolerated. This is certainly an area of research worth observing. Much exciting research opportunities remain including evaluating different strains, different forms (from supplement to fermented and cultured food forms), doses and durations in a wide variety of different populations with different psychological conditions and different GI conditions or dysbiosis and for different severities of such conditions. The many sources of variability among individuals and their microbiome will require many research trials with excellent controls. What is or will be the therapeutic potential of live probiotics for modulating cognitive and mood disorders? More research into the full spectrum of research studies, from in vitro, in vivo, animal model, human trials and observational studies will inform the what, the how and the why for this exciting new area of research. My surprising find for 2016 was on the effect of a gluten-free diet on irritable bowel syndrome (IBS) symptoms in individuals without celiac disease. I discovered this finding while I was adapting content from the BDA’s systematic review on the effect of diet on symptoms of IBS for the PEN System. This systematic review found limited evidence from an RCT that suggests that when confounders (e.g. FODMAPs) were controlled for, there was no effect on IBS symptoms from following a gluten-free diet (1). In addition to gluten, the grains wheat, rye and barley also contain FODMAPs, and when these grains are eliminated, the FODMAP content of the diet is reduced by about 50%. Wheat also contains the potentially toxic component wheat amylase trypsin inhibitor, and the removal of this and other constituents in gluten-containing grains from the diet may also contribute towards symptom improvement. Thus, the reported positive effects of a gluten-free diet on IBS symptoms may be due to the effect of lowering FODMAPs, and other constituents in the grains, not gluten (1). This picture is further muddied by the finding that many people who respond to the removal of gluten from the diet are positive for the human leucocyte antigens (HLA)-DQ2 or DQ8. These are present in 98% of individuals with celiac disease and in one-quarter of the non-celiac population. It is not clear whether the individuals who responded to a gluten-free diet may have sero-negative celiac disease. Negative tests for HLA-DQ2 and DQ8 rule out celiac disease, but positive tests cannot confirm or rule out celiac disease (1). The authors of the systematic review suggest that when advising consumers about using the gluten-free diet to alleviate IBS symptoms, practitioners should point out that the evidence for an effect of gluten removal is limited (1). The long-term effects of a gluten-free diet in IBS are unknown (1). In celiac disease, a gluten-free diet is used as a lifelong treatment (2). Although it improves symptoms and nutritional status, it has also been shown to impair quality of life. Barriers include limited availability and the high cost of gluten-free foods, and the possibility of cross-contamination. In addition, adhering to a gluten-free diet on social occasions or while travelling can be challenging. My finding this year is one that continues to be a source of constant amazement to me, which is the increasing number of published research studies. In the PEN® world, we use the expression “PEN never sleeps”. This expression refers to the global nature of our subscribers, partners and team members, and the associated time zones. However, I think that this expression is also relevant to the publication of research studies as it is now a 24-7 production. The trends of published research are fascinating. A PubMed search of the term “vitamin D” returns almost 70,000 results, with the first study date of 1922. Of these publications, 45% were published in the last 10 years, 28% (20,015) were published in the last five years and 7% (4,876) were published in the year 2015. Looking at a “newer” term, the term gut microbiota returns 10,822 results, beginning with a study in 1977. Between 1977 and 2006, there are only 316 results, but the last ten years results are 10,504. Eighty-seven percent of these studies (9,125) were published in the last five years, with almost 3,000 published in 2016, and the year is not over yet! When conducting a search, the use of additional specific search terms would reduce the number of results; however, the volume of research is staggering. Knowing how to effectively search and having access to filtered evidence (such as in the PEN System®!) is critical for dietitians to successfully have evidence-based practice. This article was originally printed in Dietetics Today, a publication of the British Dietetic Association in December 2015. It is reprinted here with permission. PEN® is a dynamic worldwide resource for nutrition and dietetic practice that changes as the evidence-base changes. To celebrate the global PEN® network (and because it’s the festive period), we thought we would put together a little synopsis of traditional festive food from around the world…In keeping with the PEN® theme, you will also find PEN® evidence links scattered throughout this article. Christmas dinner in Australia usually consists of cold meats (such as chicken, turkey, various deli meats and glazed ham) and seafood platters served with vibrant pasta salads packed with summer vegetables. A barbeque including lots of seafood such as fresh prawns and lobster, or a picnic on the beach is also popular. For information on food safety click here. This is topped off with a cooling dessert such as trifle or fruit-topped Pavlova. On the other hand, Christmas cuisine in Sweden or Julmat (meaning ‘Christmas food’) is commonly comprised of a Smorgasbord - a buffet-style meal with hot and cold dishes including pickled herring and salmon (Gravlax) or eel accompanied by cheeses and boiled potatoes. This is followed by fish and shellfish or cold cuts of meat (such as various sausages, mustard-crumbled ham (Julskinka) and pates) with cucumber salad, after which hot Swedish meatballs or Jansson’s frestelse (casserole) is served. Dessert includes an array of sweet pastries, pepparkakor biscuits or homemade sweets. Next door are the festivities of Finland. Joulupöytä (translated ‘Christmas table’) is a traditional food board containing a variety of dishes. Christmas dinner is eaten on the Christmas Eve. Dishes include fresh salted lutefisk (codfish) or salmon (graavilohi), while the main dish is traditionally Joulukinkku (Christmas ham), root vegetable casserole such as Imelletty perunalaatikki (sweetened potato casserole) and Rosilli salad (beetroot, carrot and potato), followed by piparkakut (gingerbread cookies). Check out the Nordic Nutrition Guidelines (2012) here. In the Netherlands, a typical and popular Christmas dinner is called gourmetten where people use small pans to cook and season their own food in small portions at the table. Dishes include different meats, fish, prawns/shrimps and finely chopped vegetables. A popular Christmas treat is kerststol - a luxury bread made with raisins, nuts, dried fruit and almond paste. For tips on eating mindfully, click here. Christmas feasting in France or Réveillon (which is the main Christmas meal) consists of popular appetizers such as duck liver (foie gras), raw oysters or escargots de Bourgogne (snails with butter, parsley and garlic). Held on Christmas Eve, the main dish is usually roast turkey or goose (with chestnuts and stuffing), or baked ham, roast fowl and salads. A traditional Christmas dessert would be a classic chocolate sponge log called La Bûche de Noël, alongside fruit and pastries. For festive season survival tips, click here. In Poland, food celebrations at Christmas typically involve twelve meat-free dishes called Kolacja wigilijna (translated ‘Christmas Eve supper’). For information on vegetarianism click here. However, fish is served (usually herring, carp or pike), alongside barszcz (beetroot soup) or krokiety (pancakes filled with mushrooms and (or) cabbage in breadcrumbs, fried in oil or butter. 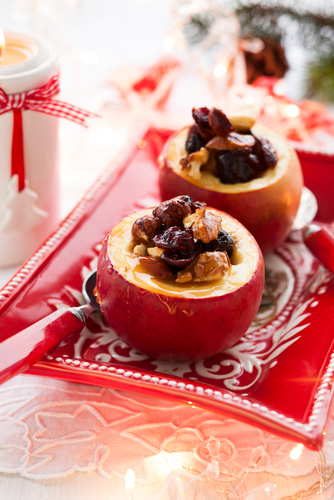 Christmas pudding is traditionally a bowl of kutia (sweet grain pudding) made with wheat berries, honey, chocolate, nuts (almonds and walnuts) and fruit (figs and raisins). The Christmas delights of Denmark include the traditional meal consisting of roast pork served with boiled or sweet potatoes, red cabbage, beetroot, cranberry sauce and gravy. However, goose or duck stuffed with apples and prunes has also become a popular main dish. This is typically followed by a classic ris à la mande (creamed rice pudding with almonds and cherry topping). Gløgg (hot spiced mulled wine) is a popular festive drink in Denmark. 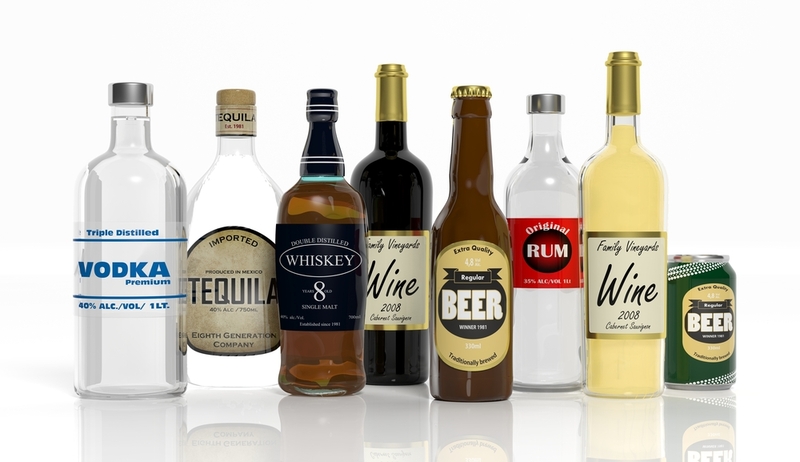 Check out the alcohol section on the PEN® website. Gløgg is often served with a small hot cake called ‘apple pieces’. Icelandic indulgence involves popular Christmas dishes such as hangikjöt (smoked and salted lamb or mutton), ptarmigan (game bird), roast lamb or goose or hamborgarhryggur (smoked pork rib roast). Another specialty is Laufabrauð (leaf bread) which are patterned thin and crispy fried wheat cakes. Dessert may be Vinarterta, which is a traditional Icelandic fruit cake served in rectangular slices. Christmas dining in Germany usually includes roasted carp (sometimes salmon/hake). For more information on the health benefits of oily fish and omega-3, click here. However, roast goose is also popular. Dishes such as cabbage, kale and sauerkraut (pickled cabbage) are typically served on the side. Fruit bread such as Stollen - which contains marzipan, almonds, dried fruit and butter – is also popular. Cinnamon stars (Zimtsterne) are the most traditional Christmas cookie in Germany. Traditionally, Pavo Trfado de Navidad is the main Christmas meal in Spain which is turkey stuffed with mushrooms. Nowadays, starters include platters of cold meats (such as Serrano ham), seafood (such as prawns or salmon) and cured cheeses, followed by a hot homemade soup and roast lamb, cod or seafood (particularly lobster) served with rice or potatoes. For more information on food skills and preparing foods from scratch, click here. A typical Christmas feast in the UK consists of roast turkey or goose with roast potatoes, vegetables (particularly Brussel sprouts), stuffing, chipolatas wrapped in bacon (pigs in blankets) with cranberry sauce. Dessert is typically Christmas (plum) pudding and brandy butter. Nuts, oranges and chocolates are also popular snacks. For the evidence-base on chocolate and health, click here. While in Italy, Christmas lunch or il pranzo typically consists of a classic antipasto with cured meat, olives and cheese, or a pasta in broth filled with meat or pumpkin. Fried eel is a favourite, as well as delicacies including crostini with liver pâté and tortellini in chicken stock. A traditional Christmas dessert would usually be a sweet bread filled with fruit and raisins such as Panettone or Pandoro (gold bread). Most Italian Christmas sweets contain nuts and almonds. For more information on the health benefits of nuts, click here. 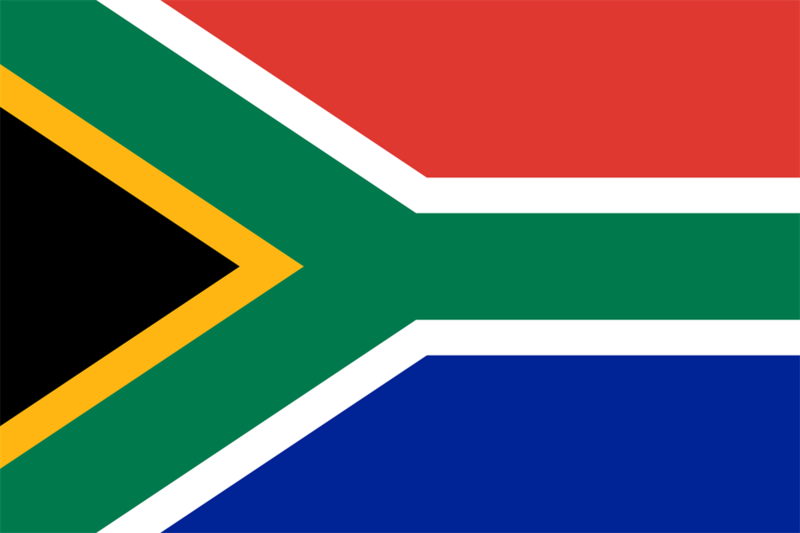 The Christmas meal is either turkey (or duck), roast beef, mince pies or suckling pig with yellow rice & raisins and vegetables, followed by Christmas Pudding or a traditional South African desert called Malva Pudding (sometimes also called Lekker Pudding) - get the recipe. People also like to pull Christmas Crackers! The meal is often eaten outside in the summer sun! If it's really hot they might even have a barbecue or 'braai'. A typical holiday meal in Canada includes roast turkey or ham, with sides of vegetables, mashed potatoes and stuffing, although with Canada’s multi-cultural population, many of the above traditions are incorporated into family traditions. Eggnog, candy canes and diverse baking is enjoyed at this time of the year. Living in the Northern Hemisphere, we also enjoy sleigh rides, tobogganing and ice skating. Canadian holiday traditions were featured in the PEN® Holiday Season Count-down. This article was originally published in Dietetics Today, a publication of the British Dietetic Association. It has been reprinted and adapted with permission. If you need to find the answer to something nutrition or dietetic-related, where do you look? As dietitians, we are trusted by the public to ensure the information and advice we provide is accurate and unbiased. As individuals, we all have our go-to websites to help us find the information we need, but are they up-to-date and evidence-based? And once we’ve found the information we are looking for, how do we know whether the evidence is of good quality or not? Although there are a number of reliable sources of information out there for practicing dietitians including PubMed, Cochrane Reviews, or clinical practice guidelines or national guidelines, it can be quite time-consuming to locate the information you are looking for. It may also be tempting to check unregulated websites such as Wikipedia because it’s easier and sometimes quicker than adopting a search strategy to find relevant research papers. However, it’s important to remember that members of the public may be readily accessing these websites, despite the fact they are not evidence-based. This is where the PEN® System can help you as a health care provider. 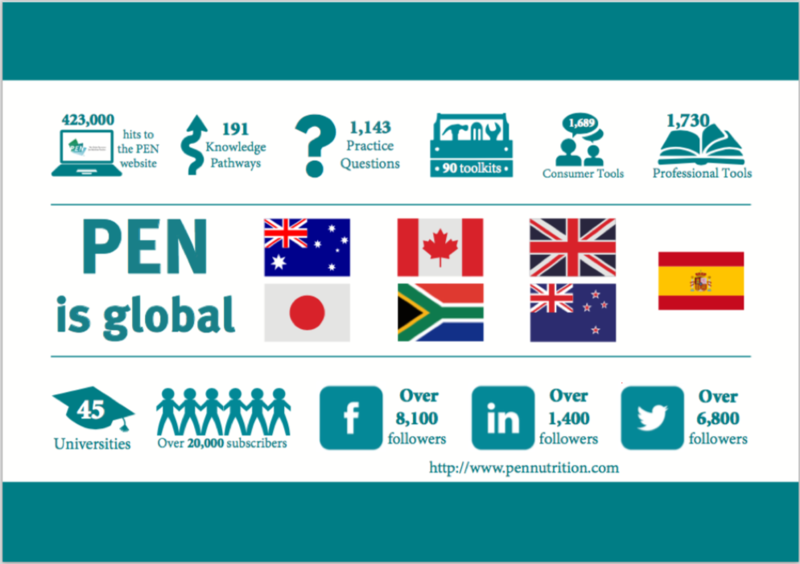 The PEN® System is a global evidence-based resource containing up-to-date research on more than 190 nutrition and dietetic topics all under one roof. So make sure that the PEN® System is your go-to website for information! As dietitians, we should be drawing our information from the highest quality research. This involves using a hierarchal approach to identify evidence, first looking for systematic reviews and guidelines, then individual studies. The type of study can influence the quality of evidence: typically randomized controlled trials (RCTs) are higher quality than observational studies (i.e. cohort studies), but poorly conducted RCTs can by lower quality and well-done observational studies can be higher quality evidence. This is not to say that case reports, case studies, animal and in vitro research are not essential contributors of the evidence base, but it is important to be aware of which research methodologies provide the strongest evidence and it should be these that are used to inform dietetic practice. Nutritional and dietetic research commonly does not lend itself to the strongest methodologies. For example, nutritional intake of a population is often assessed through the use of food and fluid diaries (e.g., 24 hour recall or seven-day). However, confounding factors such as subjective opinion, bias, and inaccuracies associated with this method of data collection raises questions around the rigour, validity and accuracy of results obtained. Consequently, results may be less transparent and are often more open to criticism. This is why the importance of the PEN® approach to evidence analysis and synthesis cannot be underestimated. The PEN® System draws on the best-available research within a given nutrition or dietetic-related topic to ensure the information and advice dietitians provide is the most relevant, accurate and up-to-date as possible. If systematic reviews and meta-analyses are unavailable within a particular topic because there is insufficient research at present, the use of randomised controlled trials and cohort (observational) studies would be a likely option. If these were unobtainable, PEN would continue to look for other sources of evidence (e.g. case-control, case series, consensus etc), until tangible information can be acquired and presented on the PEN® website as part of a ‘Knowledge Pathway’ (each topic in the PEN® System is collated under a ‘Knowledge Pathway’). The quality of research from all of these sources is assessed and presented as an evidence grade, so you know how strong the evidence-base is for any given nutrition or dietetic-related topic. More recently, in order to be concurrent with evolving best dietetic practice, PEN is in the process of adopting the GRADE approach to evidence analysis for some of its intervention type questions. (GRADE is currently used adopted by more than 100 organizations worldwide, including: NICE, Cochrane, BMJ clinical evidence, WHO, SIGN and many other groups globally. In essence, the GRADE system is not very different from the existing PEN® approach but using the GRADE system will enable the PEN® evidence to be more explicit about the decisions that are made in order to rank evidence as ‘high’ ‘moderate’, ‘low’ or ‘very low’. Have you ever wondered what a Contact Centre Dietitian does? The answer may surprise you. My job as a Contact Centre Dietitian with EatRight Ontario is very unique compared to other dietitian jobs. EatRight Ontario provides residents of Ontario access to Registered Dietitians by phone or email, for reliable, evidence-based nutrition advice. With a focus on health promotion, we provide information and guidance on healthy eating. Most of our calls come from the public, with questions ranging from managing diabetes, to food safety, to infant feeding. We also receive calls about popular nutrition topics – detox, cleanses and the latest diet. The list goes on. We never know what the next question will be. Health professionals, including dietitians, also use the service. They call us to receive promotional material, client resources, or to check the latest evidence on nutrition topics. Because it is funded by the Ontario government, this service is available…at no cost! Many people contact us for help with making changes to improve their eating habits. Our Contact Centre Dietitians use behaviour-change techniques, like reflective listening, empathizing, goal setting, assessing confidence and conviction, and change-talk, to help motivate our callers to make positive changes. Find out more about how we do this here. With such a wide variety of questions, we cannot do this job alone. Our main resource to help respond to questions is the Practice-based Evidence in Nutrition® (PEN) System. The PEN® System is extremely useful to our team as it helps us to provide evidence-based answers to incoming questions. Customized features have been added to our contact-centre version of the PEN® System, which enables us to send out client resources, and access customized counselling tools such as FAQs. It also holds contact information for over 2000 community resources throughout Ontario, like Diabetes Education Programs, Community Health Centres and more. This enables us to refer users to these resources. When we are not answering emails or speaking with callers, Contact Centre Dietitians are busy working on other projects. We regularly help in the development and review of PEN® client handouts, go to events to promote our service, and read through the latest updates in the PEN® System. Answering calls, supporting behaviour change, finding evidence-based answers to caller questions, linking to and promoting community-based resources…the Contact Centre Dietitian’s role is multifaceted and dynamic! If you reside in Ontario and haven’t already contacted EatRight Ontario, give us a call at 1-877-510-510-2 and experience it for yourself! 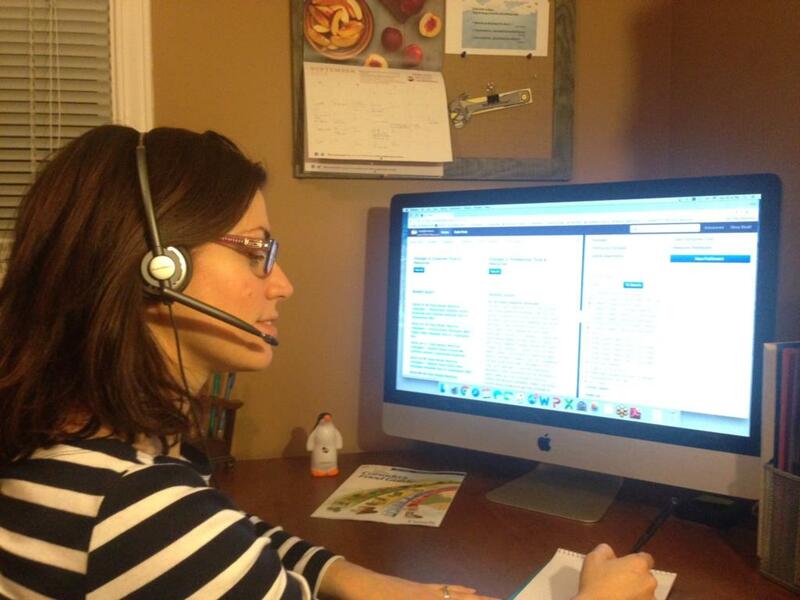 Dina has worked as a part-time, remote Contact Centre Dietitian at EatRight Ontario for over 1½ years. She also works as a private practice dietitian based in Ottawa, Ontario. Dina enjoys the dynamic and versatile job that her position with EatRight Ontario provides. To connect with Dina, call toll-free at 1-877-510-5102 or email her at dina.skaff@dietitians.ca. Our global PEN® partnership has benefited from volunteer efforts around the world. Please take a moment to read and acknowledge your colleagues who have joined our vast list of volunteers since September 2016, serving as authors, or peer reviewers for PEN® content since September 2016. The tenth annual Australia’s Healthy Weight Week (AHWW) will be held from 13-19 February 2017. Run by the Dietitians A ssociation of Australia (DAA), this campaign aims to inspire Australians towards good health, to help them achieve and maintain their healthiest weight possible. The focus in 2017 will be on encouraging people to cook at home more often and to eat healthy food in the right portions. This year’s campaign will have a brand new digital cookbook, the Everyday Healthy Bumper Edition. This will feature new tasty, nutritious recipes from AHWW ambassadors Sprout, including some favourites from previous campaigns. DAA and its Accredited Practising Dietitian (APD) members encourage Australians to make 2017 the year to commit to looking and feeling their best! For tailored nutrition and dietary advice, based on the latest science, we are directing Australians to see an APD - nutrition scientists with years of university study behind them, so well-placed to provide people with tailored nutrition advice and support. We’ll be promoting the ‘Find an APD’ link from healthyweightweek.com.au. We are very excited Sprout is back for another AHWW campaign, ready to cook up a storm and get people excited about cooking at home. Dynamic duo Callum Hann (a celebrity chef) and Themis Chryssidis (an APD and DAA Spokesperson) make up Sprout. They will be helping out with a cooking demonstration in Sydney’s central business district on Monday 13 February 2017. They are also promoting AHWW through a community service announcement, media releases and driving engagement on social media. To support a bigger and better AHWW in 2017, DAA has planned a social media campaign that is guaranteed to impress. Help us to raise the profile of APDs in Australia on social media by following @DAA_feed on Twitter and the DAA Facebook page. We have some content ready for sharing in our social media toolkit – free to download. Visit healthyweightweek.com.au to find out how you can get involved in AHWW 2017!